How do I find the right flat? You can search for it through our website or contact one of our agents, send your requirements and you will hear back from the agent within two days with a list of apartments adjusted to your needs. What are the time frames for renting a flat? You can rent a flat for the first academic semester, second academic semester, the whole year or the summer holidays period. Can I book an apartment if I am not a student? It is not necessary to be a student to rent an apartment with us. Feel free to contact one of our agents or find your dream place on our website. What if the apartment I liked is already booked? Contact us, it is possible that by the time you will arrive the apartment will be available to rent. If not our agent will prepare a list of available apartments adjusted to your needs. Do I pay for your agents assistance when searching for a flat? You never pay for the assistance of our agent. The only payment you make is the agency fee and only if you decide to book the apartment with us. You can also always contact our agents after moving into the flat for free. Do we stay in touch with you after you move in? Yes, you can always contact us. Contact one of our agents or send us an email to erasmus@easyrenting.pl in order to get the booking procedures. What if my booking won’t be accepted? Our agent will find you another apartments with similar advantages and you will be able to choose the one you like. Yes, but you will be charged with 100% paid money. The only one situation you will get your money back is official cancellation of your erasmus ,proved by documents from your University. What happens if I need to change the booking dates? It depends on the flat and of course booking dates. Contact with your agent and ask about it, we will make every effort to find suitable solution. When my booking is confirmed ? After you and the landlord sign the buyer-broker agreement and you pay the reservation fee to reserve the flat. Booking fee is deposit (in the amount of monthly rent) for the owner +commission fee for the agency (60% of monthly rent + tax 23%, it’s paid only once and includes all rental care during your stay in the flat) paid via bank transfer. You will have two days for that. It is the booking fee and a backup for the owner in case of any destructions in the apartment cause by you during your stay like broken windows etc. Remember, that the deposit is returned to you at the end of the lease if no destructions have been made. How do I know if the bills are included in rent? We always attach this information below on the apartment’s description. In case of doubt ask our agent. How much do I pay for booking an apartment? You make a money transfer from your account to the agency’s account. Can I find people to share the apartment with me if I’m coming alone? Does it matter if I’m travelling alone or with friends when searching for an apartment? It matters for a few reason, for example the number of bedrooms or beds you need in the apartment. The renting agreement also has to be signed by each of the tenants. 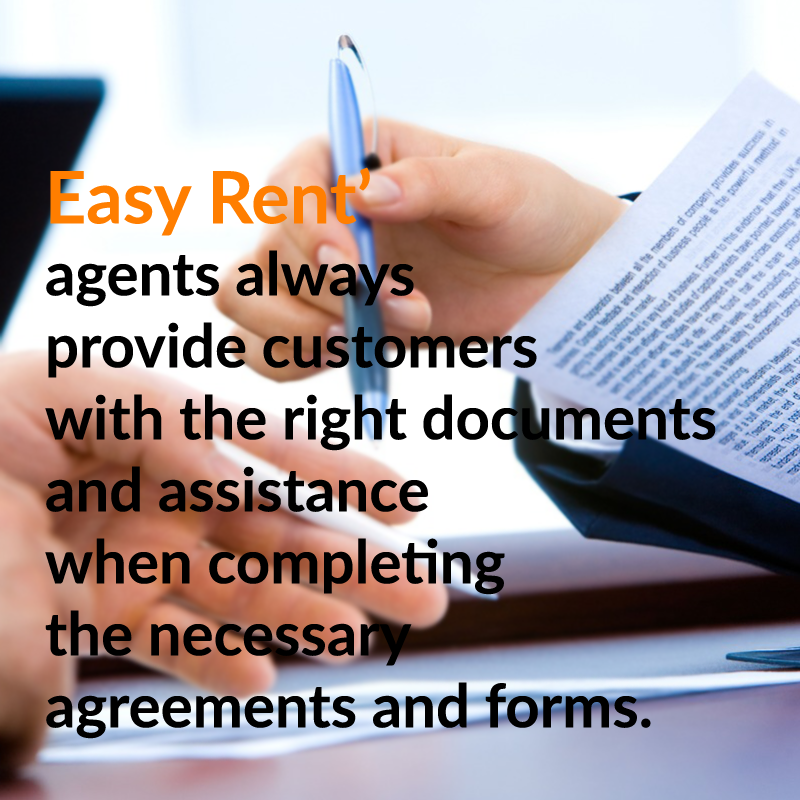 Is there any difference between EasyRent’s accommodations and other agencies? What makes EasyRent stand out of the competition is that all of our apartments are prepared in a high standard and comfort. We do not cooperate with landords who offer tiny, artificially made rooms or own apartments in a distant localization from the city center and universities. What does the basic house kit include ? How good do we know our landlords? We check their apartments out before putting them into our base and we stay in touch with them on daily basis. We provide apartments in the best standard and localization on the market. We are an real estate agency that offers apartments to rent especially for Erasmus students and foreigns. Why it is safer and convenient to book the apartment with us? We will send you papers that we’re Agency, you will rent flat throughout us and everything is safe and legal. When renting the apartment alone you could get scammed. We assist you on every step of the booking process and you can also count of us after moving in to the apartment. How to contact our agents? We are on the market for 6 years and we have over 20 000 happy customers.